Fong Kim Exhaust System Pte Ltd has been handling all kinds of problems related to vehicle exhaust and suspension systems. 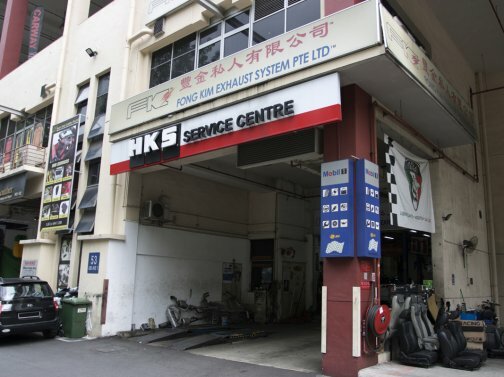 Since 1978, Fong Kim Exhaust System Pte Ltd has been tending to all kinds of problems related to vehicle exhaust and suspension systems. They distribute a wide range of aftermarket automotive parts such as Drift Racing & Remus exhaust systems, Autobahn88 turbochargers & oil cooler kits, Tein & Drift Racing suspension sets, Superchips, Summit racing equipments and Drift Racing brake kits. Being an exhaust system specialist, Fong Kim Exhaust System repairs exhaust systems and parts such as mufflers, cat-back systems and extractors. They also provide complementary services such as installation of suspension and brake systems, customisation of seat rails for vehicles, vehicle servicing and ECU tuning.